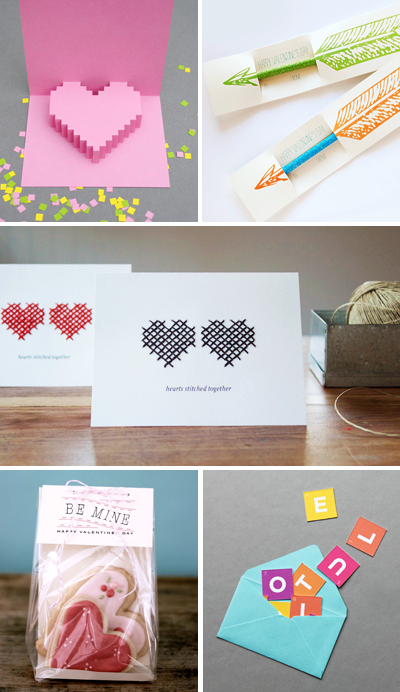 Try making these DIY Valentine's Day greetings if you're the crafty sort! So cute. I wanna make everything. Cute! I love the pop-up heart! Thank you for the great links! I can always count on you to cull through and find the BEST stuff! That scramble-gram is very clever. Of course it would be, from Oh Happy Day! Like the pencils with the arrow a lot, too, it's so simple but has that little interactive element and would be good for kids...even boy kids! The 3-D one really caught my eye. Hard to do? I'll have to find out! Those are great! I have several Valentine freebies on my blog if you are interested. Thank you - these are super! Gonna go n make the arrow card now i think! Thank you so much for this post. I want to let you know that I posted a link to your blog in CBH Digital Scrapbooking Freebies, under the Page 2 post on Feb. 08, 2012. Thanks again. Every single one is adorable :) Such great ideas! !